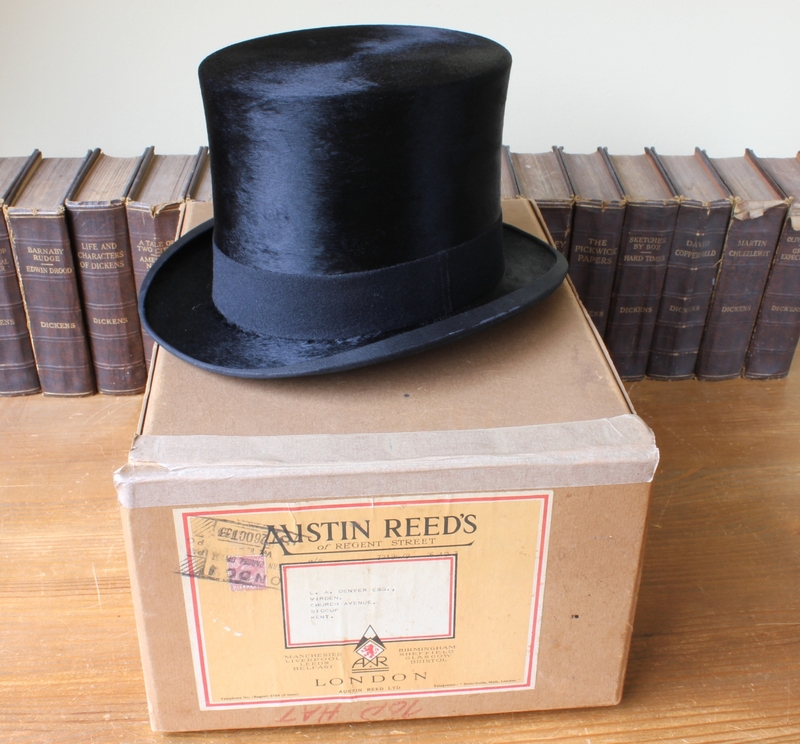 Antique Black Moleskin Plush Silk Top Hat & Box Case Austin Reed 1930's. 6 1/2. 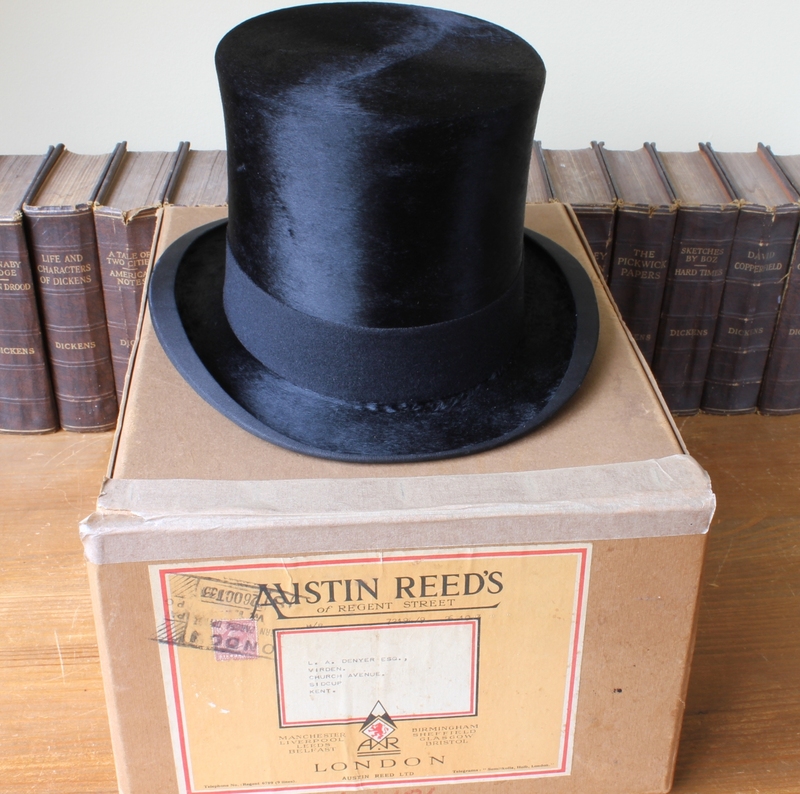 A beautiful and stylish Gentleman's plush moleskin (Imitation Beaver Fur) top hat is manufactured by top Hat Maker Austin Reed Ltd, Regent Street, London and comes complete with original storage box. 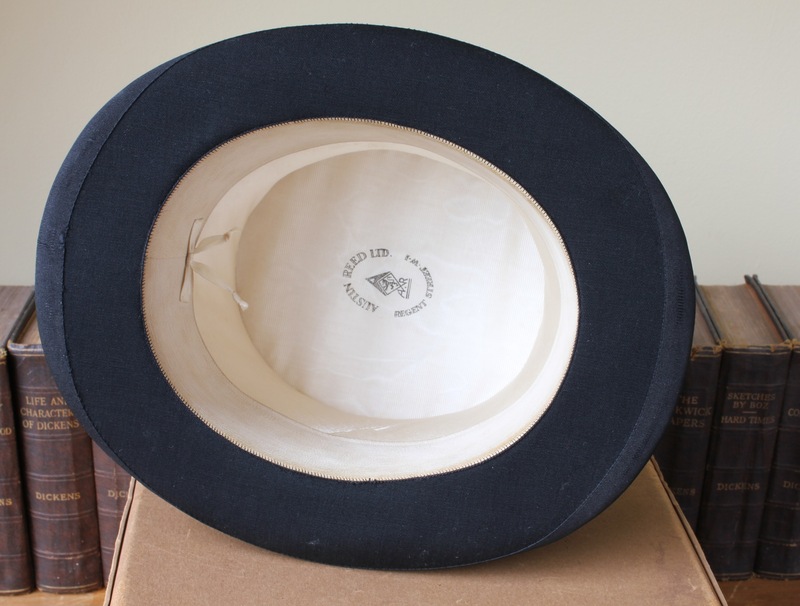 The top hat box is the original box in which the hat was delivered and has a postage stamp with the delivery date of 26 October 1933. 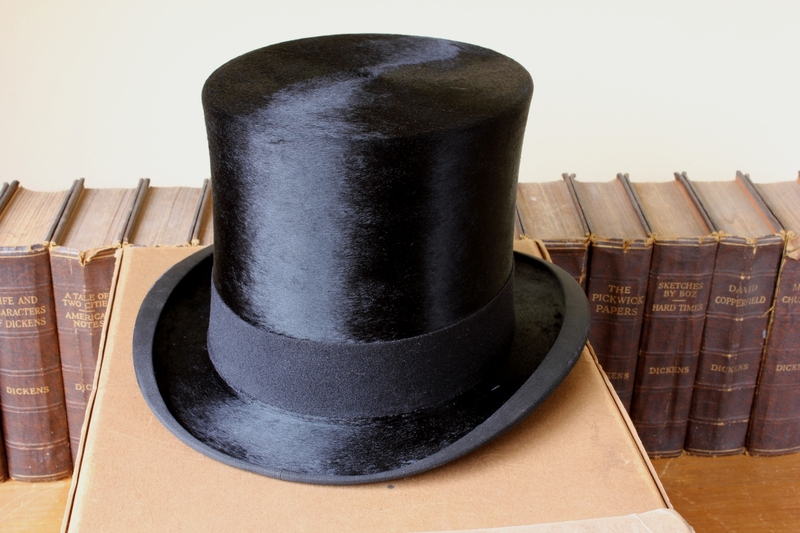 This top hat would make a wonderful topper for Ascot, wedding, a special event, costume, prop, home decor or shop display. Inside front to back = 18.7 cm. Inside side to side = 15.5 cm. Inside circumference = 53 cm. 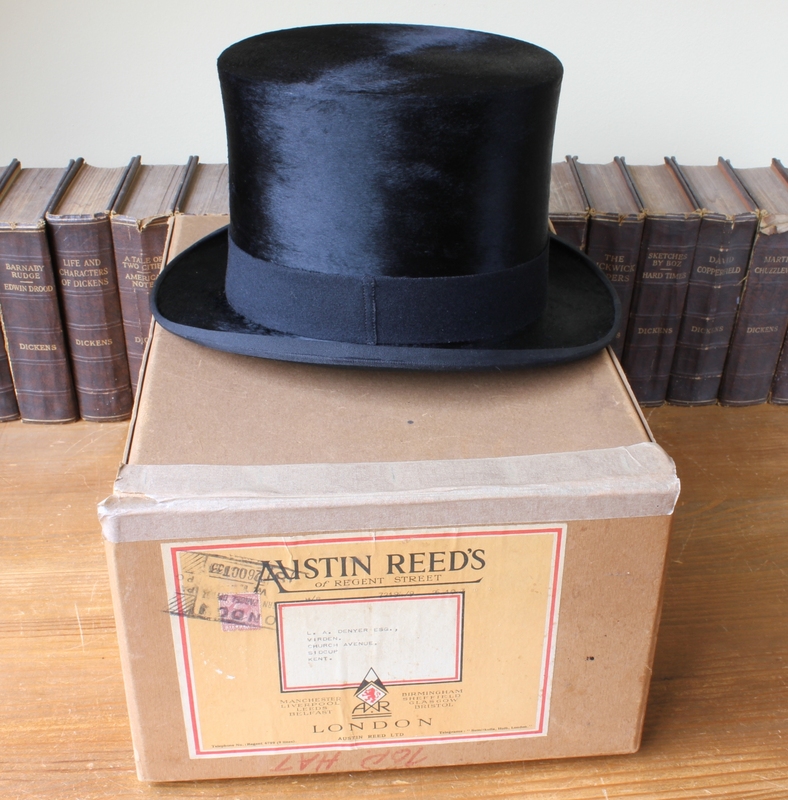 Makers details as shown inside hat: Austin Reed Ltd, Regent Street W1. Dates from the early 20th century (1933). 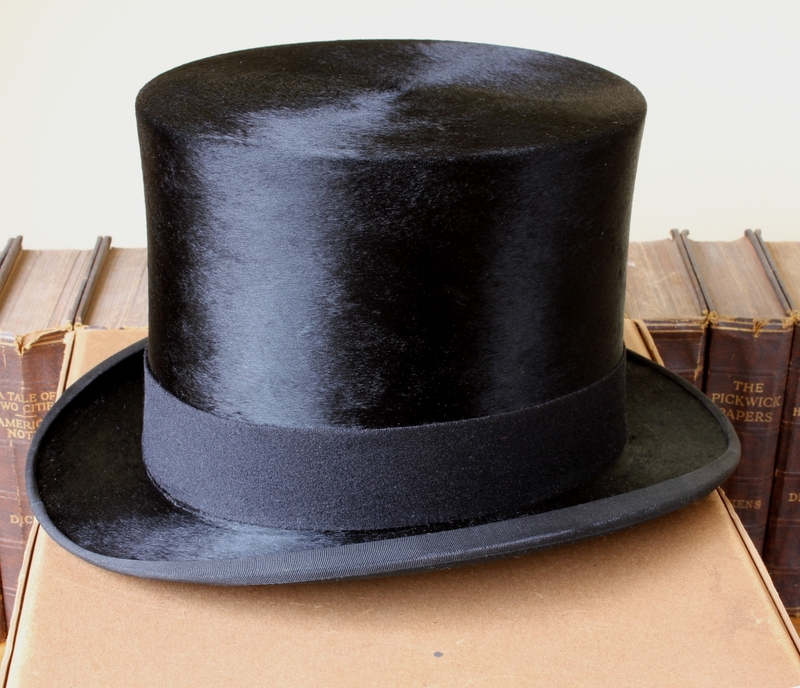 Hat is in excellent condition with only light signs of use in keeping with age. Plush is in perfect condition with no wear. Some very very light wear / storage marks to underside of rim and rim edges from where it has been stored in the box.. No staining to silk lining and only minimal staining to inside headband. Box is in used antique condition with some wear and signs of use in keeping with age. Some staining, creasing, scuffs and wear.